High quality hardwood chairs built to last. Curved back legs help prevent tipping and smooth rounded corners bring added safety to any classroom. 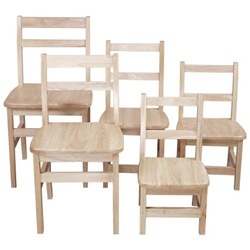 Wood Design's solid hardwood chairs are constructed using mortise & tendon construction, plus are pinned and glued for exceptional strength and durability.